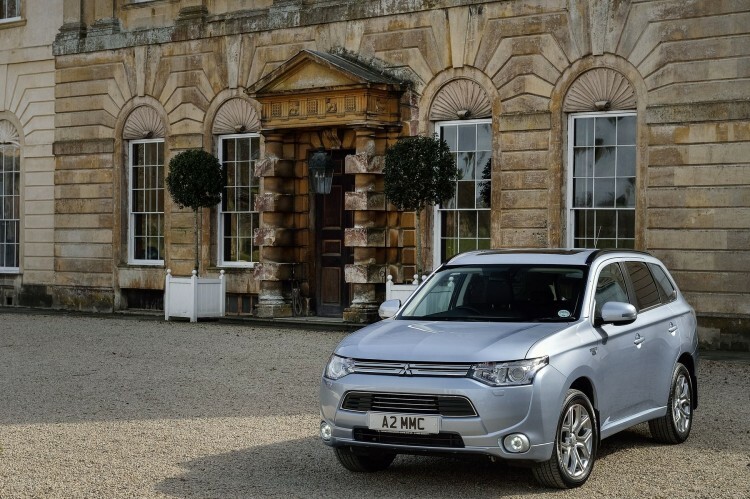 Testing Mitsubishi Outlander PHEV, while he is testing us. Do you know that the first Apple iPhone, with which began the era of a new generation of touch screens, then not yet departed Jobs experienced for 2-3-year-old children?The essence of the experiment is simple:if a child of this age understand the logic of the phone menuand manages it easily, the adult will call this device simple and convenient, read genius. So what, parents, Remembers how quickly your kids have mastered the plane tables?In the automotive industry brutal human trials conducted from the outset. That were have undertaken countless speed records, ABS, Airbags and DSG. We have been resigned to this role long time ago and forgot about the stupid humiliations and the stupid experimental status,when suddenly hybrids and electric cars appeared in our lives, such like Mitsubishi Outlander PHEV. From an engineering standpoint a hybrid genius and simple, but for a man not yet exchanged the innocent trip by car to read technical brochures in a wheelchair, Crossover becomes sheer gloom. 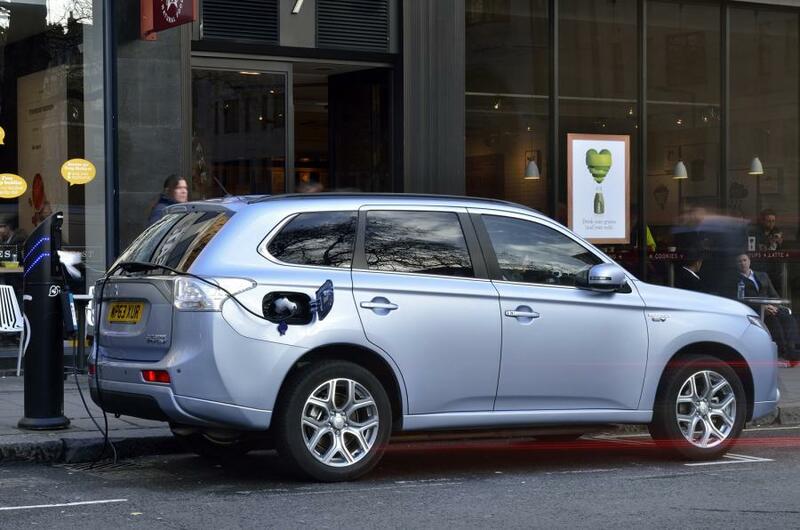 Six modes of energy recovery, buttons “Save” and “Preserve”(Charge and Save), kilovattmeter instead of revolution counter, Two slots for charging and two "fuel" hatches on both sides of the body, strange icons on the multimedia systemscreenand unusual appearance — this is just the tip of the iceberg, which from Mitsubishi Outlander PHEV spits his victim. If you try to understand the product and crossover destination, first you, most likely, do not understand,and the presence of the second casts doubt on. Lithium-ion batteries under the floor, two sockets to recharge from household electrical networks and specialized, two 82-horsepower electric motor for each of the axes, rechargeable through generator by 2.0-liter internal combustion engine121 hp, which also able to spin front wheels itself…You feel the hand reached into the pant legand not for habitual thing for any adult, and for the cheat sheet, if you're on the physics exam?The materiel is difficult. Emptying the half- liter "glass" of liquor, I had tried to tell my drinking companions about hybridsand concretely about the Outlander PHEV, but I am sure that neither of themdoesn’t memorized almost nothing. Also, I had to admit,this car largely not needed: nor thine economic benefits or privileges. 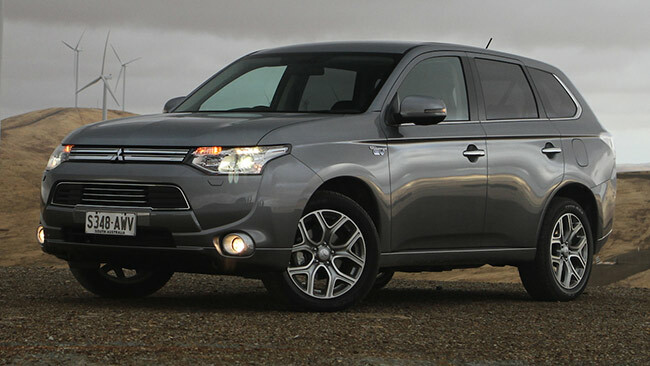 Giving large prices for Outlander PHEV,at the cost of the heaped configuration conventionalin addition a renewed "Outlander860 thousand lower does a madman or a public person want it, who need to prove its commitment to the environment.The problem is that the madmen in our country have no money,and no less publicly shittingon the environment. Add to this the interior, parts for finishing are shaken out from the old blanketsand ergonomics, which do not have enough 200 years commercials to intuitive of the first iPhone. Japanese know that this hybridwill never be popular in this country. Mitsubishi test subjects needed here yet.In Europe,discounts and benefits bribe these individuals. In Holland everybody gone crazy from the excessive desire to get a hybrid and not pay taxes for it.In Russia there are many people that do like to experiment on themselves. Take at least those, who moves on Infiniti QX80, Lexus LX570 or dredged the extracted from the Mississippi bottom Ford F-150.In their case, too, it would be possible to calculate fuel costs, benefits and hardships, as well as other issues related to the exploitation, but in fact did not stop. On such personalities Japanese will sharpen all the problems of three-engine crossover exploitation, their groans will write to gather statistics, and they will at that time consider themselves a unique and proud of it. Do not dispute that, there is no second serialcrossover with similar two electro motoric layout and internal combustion engine-generator in the nature.It is gratifying to feel that all wheels in most cases revolve solely due volts and amps. Yes, with a fully charged battery and especially rapid acceleration Outlander PHEV is able to connect the motor to the rotation of the front axle,but at a speed of up to 120 km / h, and though any amount of energy it will use to move exclusively electric motors.And without compulsion: the driver has no possibility to turn on appropriate mode with button or via the menu.How many kilometers you can drive in such a way dependent on weather conditions and other road conditions? From the Kalugastreet to Bauman crossover reached even without gasoline and promised to drive two times as much, and the country full charge dissipates in 25 km. It need 5-6 hours to restore the reserve battery from household outlet, when I several times enable and disable the cable, number on the instrument panel constantly changing. Either press Charge while driving, although the desired effect, I never gotneither in traffic nor on the highway.The Save button does not allow discharges the batteries, but does not allowto stock up more energy than it is.Eco button on the center console makes the car accelerated in only one case:if the gas pedal is pressed into the floor completely down in other provisions of the speaker does not change at all.In winter or off-road, you can use Twin Motor 4WD Lock mode, which will provide a permanent full drive.You can imagine my surprise when, for the rim of the steering wheel, I found "petals", but transmission as such Outlander PHEV has not.It appears that they do not need to shift speeds, and to change the braking force and, consequently, enhancing energy recovery.On the left was painted "-" on the right — "+" and the word off.Until now, I cannot remember what "petal" increased the effort which decreased. Fuel consumption can be constantly monitored on the touch screen with antediluvian graphics.In just a few hundred kilometers away from work to home and back, trips out of town, and one full charging from the network I came out about six liters per "hundred".This is less than that of any Outlander with the usual motor, but not enough to be called a very economical version of the PHEV. With all of these calculations, comparisons, and cares you don’t feel yourself the owner of the Mitsubishi Outlander PHEV, but hybrid owns of you and your mind.While eyes are on simple animations on the dashboard where the arrows change color and direction of theinternal combustion engineto the electric motor and the wheels and back, you did not notice the usual advantages of the car. For example, that there is really very quiet, even when running petrol unit, because of the lack of transmission of acceleration and braking, that because of the lack of transmission of acceleration and deceleration are without any jerks and twitching, that the car is not poorly managed because of the low center of gravity, and its suspension completely pull our country roads.Moreover, in contrast to the 100 percent electric vehicles, which are almost completely suppress in the human reason and freedom of movement, Mitsubishi Outlander PHEV has almost no effect on the psyche and habits of its owner and does not prevent him from living a full life, even with a reduced volume in the trunk and the lack of a spare wheel.